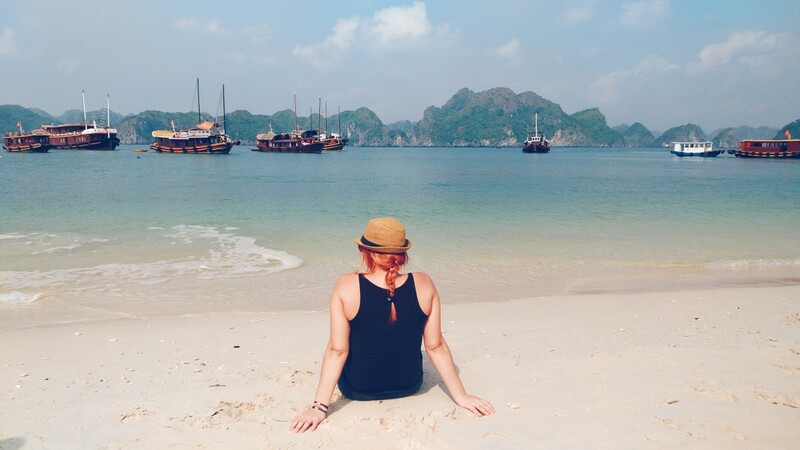 Probably everyone heard of the famous Halong Bay in Vietnam? 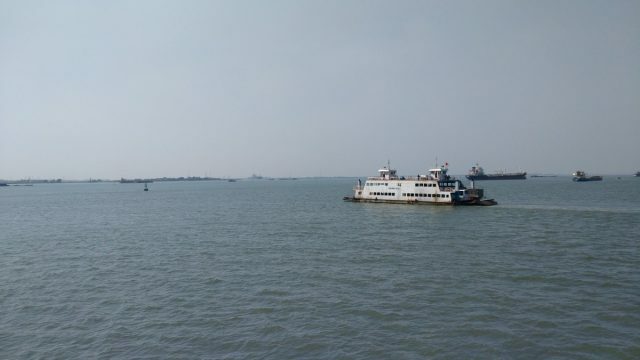 What about the biggest island in that area – Cat Ba? Probably not? Until recently, we have not heard about this island and because we have read that it is not too busy by tourists, we decided to visit it. 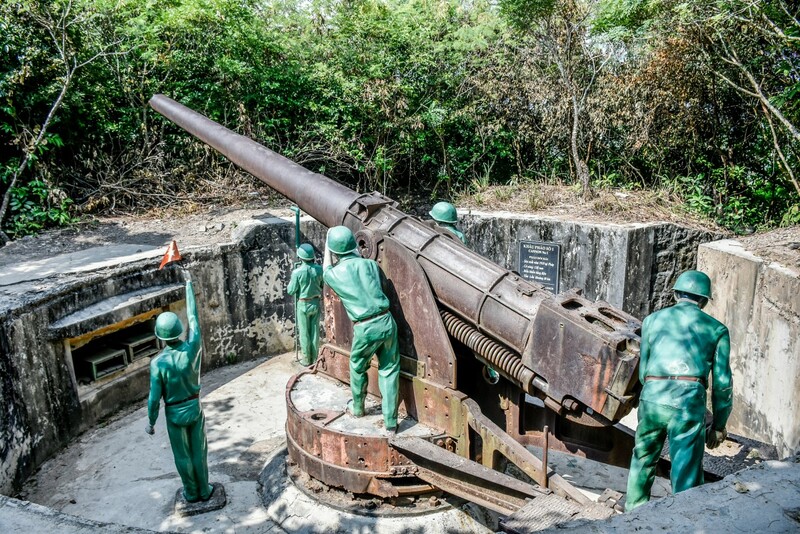 Cat Ba is the largest island and national park covering the Halong Bay area. 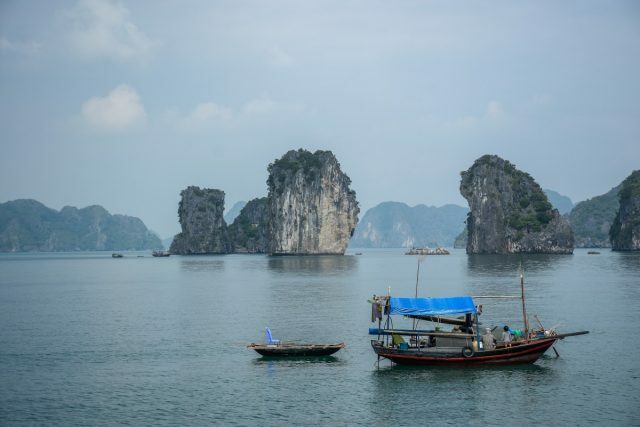 The island is located on the lower side of the Ha Long Bay and does not fall under UNESCO protection anymore. 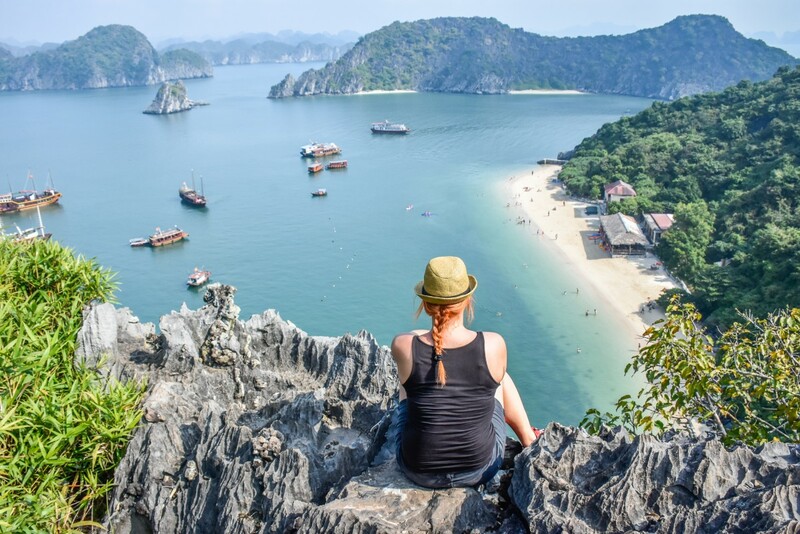 Since 2012 Halong Bay has become one of the world’s wonders in the world, so the number of tourists began to rise steeply in the meantime. On the Internet, we even found the fact that the famous bay daily visits up to 40,000 visitors. Cat Ba Island is considered as less known alternative to the famous bay. 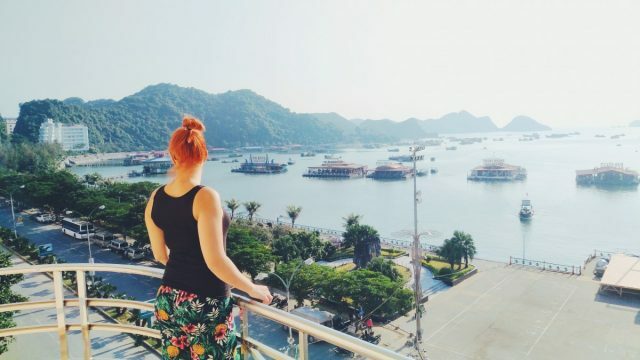 That’s why, instead of Halong Bay, we chose the island of Cat Ba, where there are significantly less tourists, prices are more affordable, and after all, you see and experience more. It is very likely that at Cat Ba you will head straight from Hanoi, where you will find many agencies that organize the route. You can choose between an organized excursion or a transfer to Cat Ba Island. 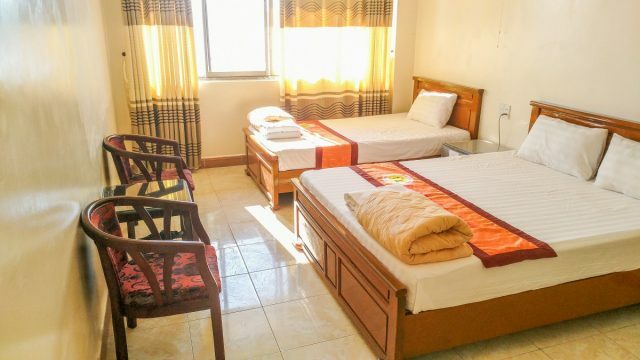 An organized trip from Hanoi costs around $ 25, including a shuttle service, bed and breakfast and a trip. We only decided to organize a bus from Hanoi, which includes a bus – ferry – bus, for which we paid 11 dollars. 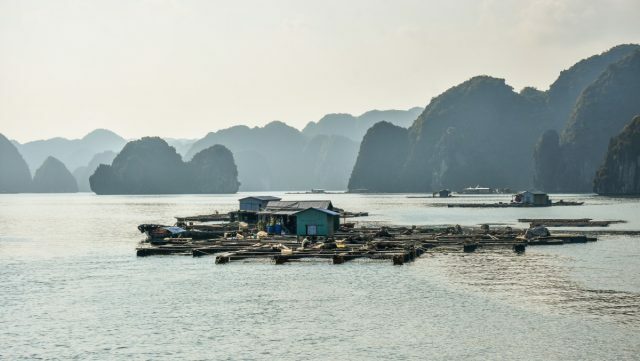 From Hanoi to Cat Ba is a 4-5-hour drive with a comfortable bus, with one stop. There is also a third option. 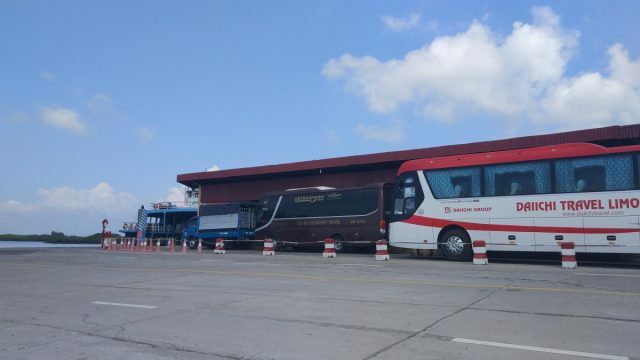 You can go from bus station Loung Yen to the port Hai Phong which is 3 hours away. From the port you can go with speedboat to Cat Ba. The city centre is about 1 hour away. Journey will cost you 250.000 VND (aproximately 9,5 eur), but check before for the correct information. The easiest way to explore the island is with the rented motorbike, which will cost you between 90,000 and 110,000 VND (3.40-4.20 €) per day. For Vietnam, you must have a valid international driving license, although they have not checked it, but it’s still recommended that you have it with you. 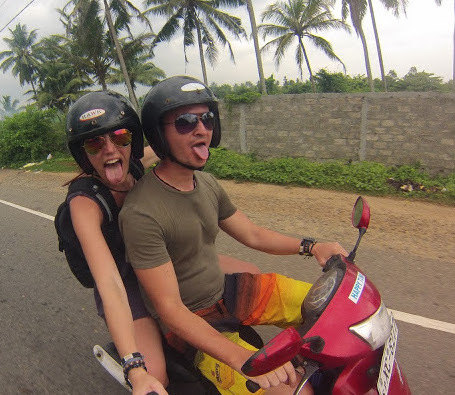 Driving with a motorbike is safe, as there is not much traffic on the island. When buying fuel, the locals advise you to fill the fuel at a gas station and not with locals along the road, because they are supposed to mix the water between the gasoline. We booked our night at the Full Moon Party Hotel, where we got a clean room with the sea view and breakfast, all for 8 euros per night. If you are going to Cat Ba, this hotel is recommended, as the staff is very friendly, smiling and helpful. Employees also speak relatively fluent English, so you will not have problems with communication. From Cat Ba, you can take a trip to the famous Ha Long Bay and Lan Ha Bay. The last one is less touristic, but quite similar to the famous Halong Bay. The hotel where we slept is one of the main tour operators, so we booked a trip at our hotel. After breakfast, we wait outside the hotel where a smiling team with a very well-spoken guide is waiting for us. We take the bus to the nearby port, where we board a wooden boat. Our first stop is Monkey Island, where we left the boat directly at the beach. 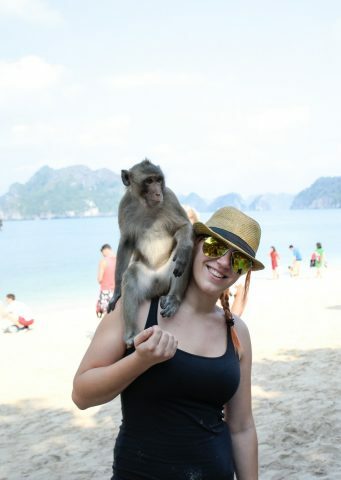 As soon as we get off the boat we already see the monkeys, which are not shy. Guides provide us with treats, so that monkeys eat from our hands, or even climb to our shoulders. Then follows the ascent to the most beautiful view point which we have ever seen. The path to the top is quite demanding and it is good to have suitable footwear (sneakers, not sandals, etc.). Some parts also require some climbing over sharp rocks and you need to have good grip during climbing. We continue the trip along the Lan Ha Bay, where we stop for a swim, and during that time guides prepared a delicious lunch on the boat. Lunch is also great for vegetarians. The last stop, which we most enjoyed, is kayaking. We board kayaks and follow the guide. 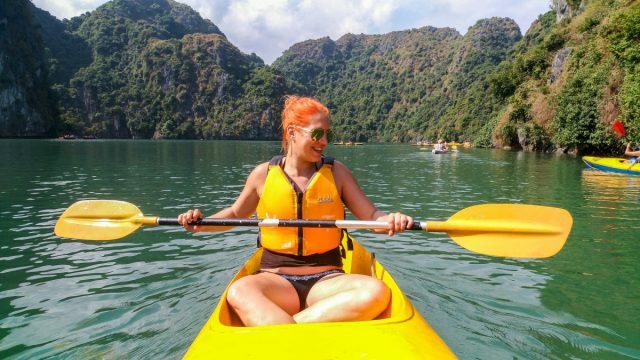 We drive past huge rocks, paddle through the caves, swim in the lagoon … In short, an unforgettable experience that we would immediately repeat. 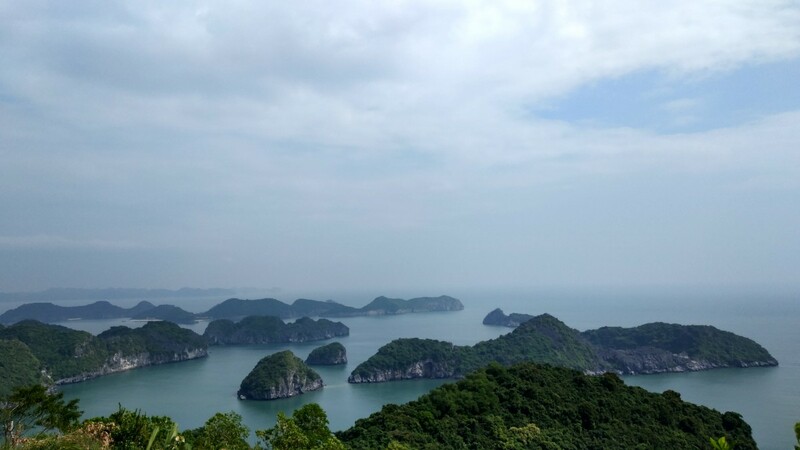 Our trip is slowly coming to an end, followed by a boat ride through the most beautiful part of Lan Ha Bay. Part of the way we pass the fishing villages on the water, where we observed the lives of the locals. People live on the water for there whole life and rarely go to the land. For the end of a fantastic trip, we all gather on the deck, where guides served us with cold beer and fruits. If you are going to Cat Ba, we strongly recommend that you go on a trip with the Full Moon Party agency, as they really do make an effort on the trip and make you smile. We paid $ 18 for the trip. What to see at Cat Ba? On Cat Ba Island we stayed for another day, which we devoted to exploring the island. Beaches – on the island you will find three city beaches, which are 1 km from the city. These are C1, C2 and C3 beaches. On the beach there are also some catering offerings. Beaches are also connected with the path between each other. 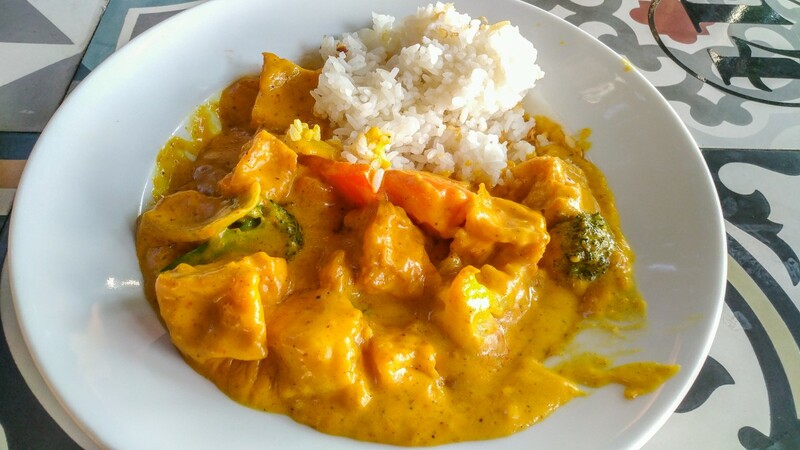 The good bar – is located on the main street, and it is recommended that you try their curry because it is delicious. Jummy – you can find in one of the side streets, and for a free table, sometimes you need to wait a few minutes. They offer everything from Vietnamese traditional foods, soups and all the way to the famous Thai cousine. Hotel Full Moon party – a varied offer of Vietnamese food at affordable prices. We recommend soup Pho, which was really great. How to get from Cat Ba? We suggests you to arrange for the transport to the nearest agency. We continued our journey towards Ninh Binh, and we deducted 150,000 VND (5.7 €) per person for the transport (bus – ferry – bus). We booked our tickets again at the Fool moon party hotel, where we slept. Don’t you have the intention to stop traveling and finally start thinking about the future?